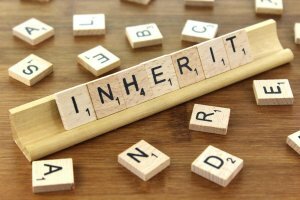 Have you recently inherited a house? If so, you’ll have three options. You can live in your inherited property. On the other hand, you can either rent out your house to tenants or just sell it. Today, we would like to talk about selling a newly inherited house. Selling an inherited house can be a very stressful and challenging process. You may have some hidden problems when trying to sell an inherited property. Siblings may also have disagreements. The big question is – how to sell an inherited house? Obviously, you need to analyze the market carefully and prepare your house for sale. After that you may need to deal with real estate agents, real estate investors or tax attorneys. Below, you’ll be able to find tips for selling a newly inherited home. First of all, you need to perform a real estate market analysis. Analyze similar houses which are sold in your area. If you take advantage of real estate market research you’ll be able to figure out how much your house is worth. You can either do this type of work on your own or ask a real estate agent for help. After real estate market research is done, it’s time to start preparing your house for sale. It’s clear that buyers will pay a close attention to the condition of your house and garden. So, you should consult with a real estate agent and ask him/her whether it makes sense for you to get your home repaired prior to selling. Actually, the condition of a house has a huge impact on its price. Therefore, if you would like to sell your inherited house at higher price then you should definitely do everything that you can to improve your home’s interior and exterior. Keep in mind that small changes to your house can make a huge difference. Improving kitchen and bath, replacing mechanical systems, updating floors, resolving tile issues and doing cleanups may help you increase your home’s value considerably. Experts also recommend home sellers to remove belongings of their loved ones. By doing this, you’ll be able to make your home more attractive to buyers. It’s no surprise that a lot of people choose to sell their inherited properties with real estate agents. If your house is in good condition and you offer a good price then an experienced realtor will most likely find a buyer quickly. It’s also important to know that selling an inherited house with a real estate agent has its own drawbacks. For example, buyers need to pay fees and commissions to real estate agents. Obviously, this is something that negatively affects home’s selling process. You can also face other type of challenges if deal with a real estate agent to sell an inherited property. So, if you find it hard to sell your inherited house with a realtor then you definitely need to consider selling your inherited house to a real estate investor. Selling an inherited house to a real estate investor has a variety of benefits. It’s a quick and easy way to sell an inherited property. A lot of real estate investors purchase inherited properties without repairs these days. That means that you’ll not find it hard to sell your newly inherited house to a real estate investor. In most cases, it takes home sellers no longer than 24 hours to get cash offers for their inherited properties from real estate investors. As you probably know, real estate investors get 6-7% of home’s sales price. However, if you choose to sell your inherited house to a real estate investor then you’ll not have to deal with fees and commissions. That means that you’ll be able to avoid fees and commissions if you make a deal with a real estate investor. The reality is a real estate agent may ask you to get some problems fixed in your house prior to selling it. And of course, home repairs mean additional expenses for you. Plus, the home repair is a very time-consuming process. So, it may take you several months to get your inherited house repaired. That’s the reason why it would be better for you to sell an inherited house to a real estate investor if it’s in poor condition. By doing so, you’ll be able to save your time and money. In fact, you can sell your inherited house to a real estate investor in any condition. If you don’t live in an inherited house then it may become a victim of vandalism over time. So, you should either rent out your inherited property or sell it quickly to prevent these kinds of things from happening. Would like to sell your newly inherited house? If so, you definitely need to do this as soon as possible. However, it may also take a real estate agent a long time to find a buyer for your inherited house. So, a real estate investor would be the perfect choice for those people who would like to sell an inherited house quickly. You’ll have to pay home sale tax if you decide to sell your house after inheriting. However, if you decide to sell a house in 2 years after inheriting it you’ll be able to take advantage of so called home sale tax exclusions. However, if you would like to learn more about home sale taxes – get an advice of a tax attorney beforehand. During the consultation a tax attorney will analyze your situation carefully, answer all of your questions and finally advise you upon the appropriate solution! As a result, you’ll be able to get the most out of selling an inherited house.